A little discussion about tulle. The exact weaving technique is what defines tulle but the material it is made from makes it behave as if it was an unrelated fabric. Bought back into the spotlight by Katherine middleton and worn perfectly. Silk tulle is made of the same technique as nylon tulle but it looks and feels completly different. It has more drape and inertia than nylon and depending on the quality can look a little more opaque. Kate shows the way is falls straight down, looking lovely over the face. She also has a wide attachment around the whole front of her tiara. this holds the tulle open so its sheerness can be seen. 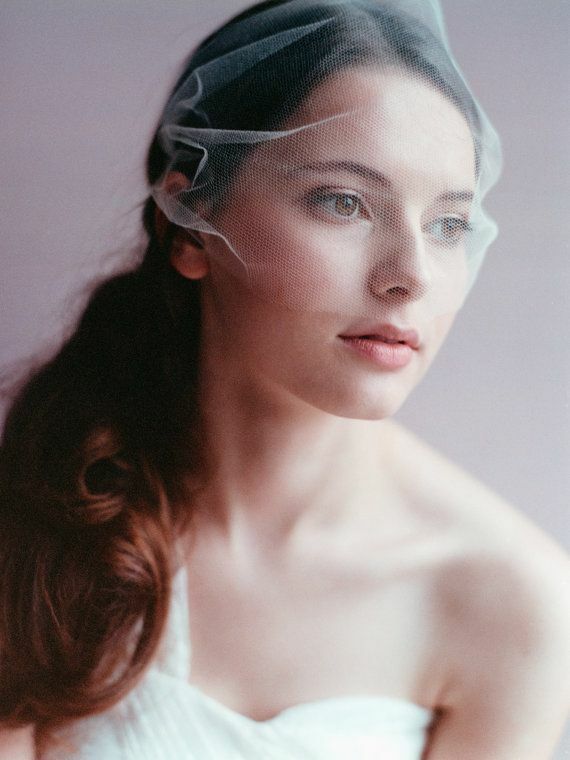 A narrow atachment lets the tulle fall straight and none of its transparency can be seen. 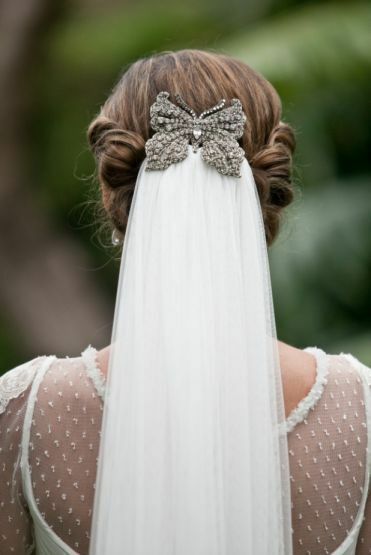 I personally think that the kate method is the only way to use silk tulle. 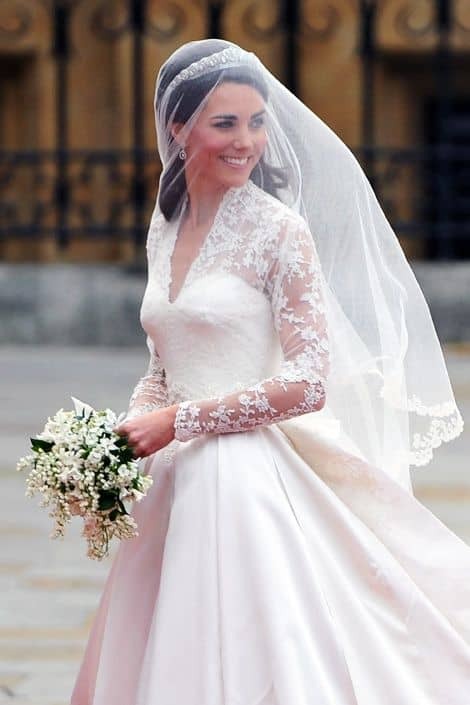 2 veils showing the fall of a silk tulle veil with a narrow base, lady Mary showing how seemingly silk tulle works best with tiaras. 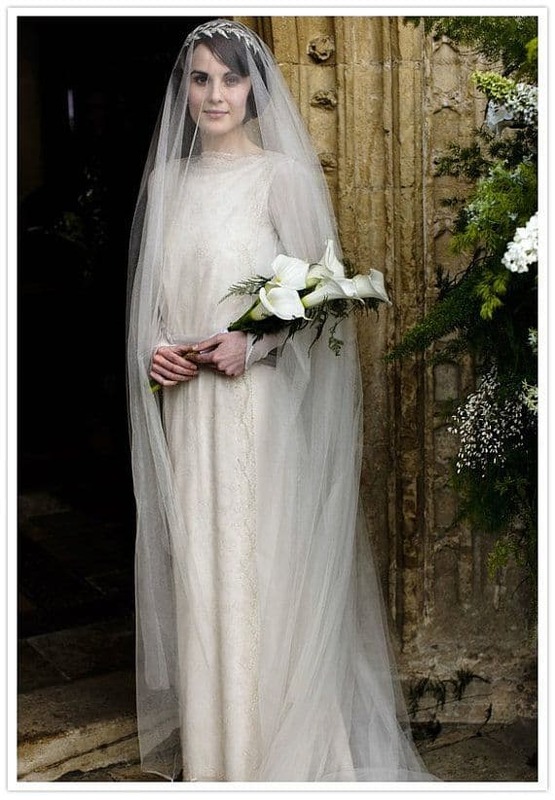 A simple light circle from bhldn (look at the distance from her shoulders the veil is sitting compared to lady Mary), A 60’s bride showing what is possible when you embrace the pouff, A tiny little blusher in an almost invisible whisp of tulle. 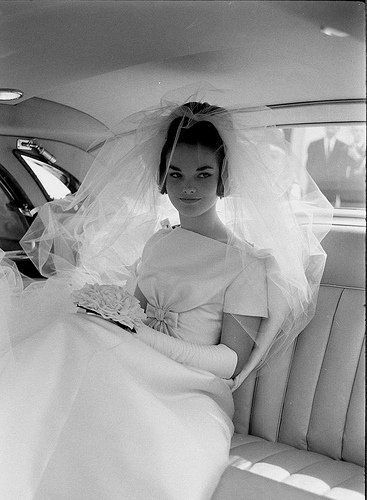 This entry was posted in Advice for brides, Blog, construction, History of fashion, Ideas for brides, veil. Bookmark the permalink. Feminist Killjoy ruins wedding jokes.